Unisource Style TSC PTFE hose is the workhorse of the industry for a variety of gas and fluid applications. 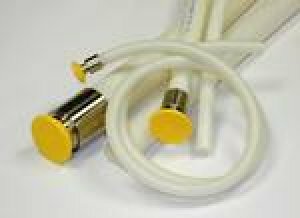 Style TSC combines a smooth bore PTFE (polytetrafluorethylene) inner core with a 300 series stainless steel over-braid. A high pressure rated assembly is complete by attaching special swage type fittings made in a variety of styles.